Officials of San Francisco, California and 12 other states Thursday announced an agreement in which the MillerCoors beer company will end sales of caffeine-spiked alcohol drinks allegedly aimed at young people. The agreement includes removal of caffeine from MillerCoors' Sparks, the best-selling alcohol energy drink in the nation. Attorneys general of the 13 states and San Francisco City Attorney Dennis Herrera had alleged the company violated various state consumer and business laws by targeting ads for the drinks at young people under the age of 21 and making misleading statements. Herrera said, "Caffeine and alcohol are a combustible mix, especially for young people, creating 'wide-awake drunks' who are less aware that they are intoxicated and more likely to endanger themselves and others." The state investigations never reached the point of lawsuits, but the settlement resolves the states' claims without lawsuits. The pact does not include any finding of wrongdoing on the part of MillerCoors. MillerCoors President Tom Long said, "As a responsible company, we are always willing to listen to societal partners and consider changes to our business to reinforce our commitment to alcohol responsibility." Chicago-based MillerCoors, the nation's second largest beer company, was created in July as a joint venture between Molson Coors Brewing Co. and SABMiller. As part of the agreement, MillerCoors will pay the 13 states and San Francisco a total or $550,000 for legal expenses or consumer education. California Attorney General Jerry Brown said, "With this agreement, we're shutting down 90 percent of the market in caffeine-spiked alcoholic beverages." Brown added, "The growing and widespread use of caffeine mixed with alcohol can distort judgment, weaken inhibitions and encourage risky behavior, especially in young people." Other states participating in the settlement are Arizona, Connecticut, Idaho, Illinois, Iowa, Maine, Maryland, Mississippi, New Mexico, New York, Ohio and Oklahoma. 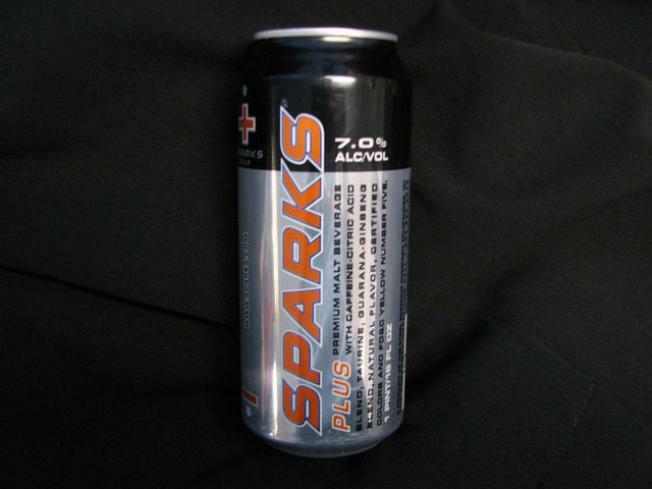 Herrera said the Sparks drink was invented in San Francisco by a local company, the McKenzie River Corporation, which sold the product to Miller Brewing Co. in 2006.